Community engagement and Accountability (CEA) is an online resource presenting clear guidelines and practical tools used by the Red Cross Red Crescent programme to support programme managers and staff to identify the most appropriate communication approaches to listen to communities’ needs, feedback and complaints. It aims to help programmes to foster strong relationships with communities so as to help community members to speak out about the issues that affect them as well as influence decision and policy-makers to implement needed positive changes. Much will be of relevance to Community Engagement practitioners in Global Health research. Resources include CEA guidelines which provide an overview to justify approaches for two-way dialogue between researchers and communities. The document is divided into stages of the CEA project or programme cycle from initiating community involvement, through to designing and rolling out programme activity and finally approaches for monitoring and evaluation. 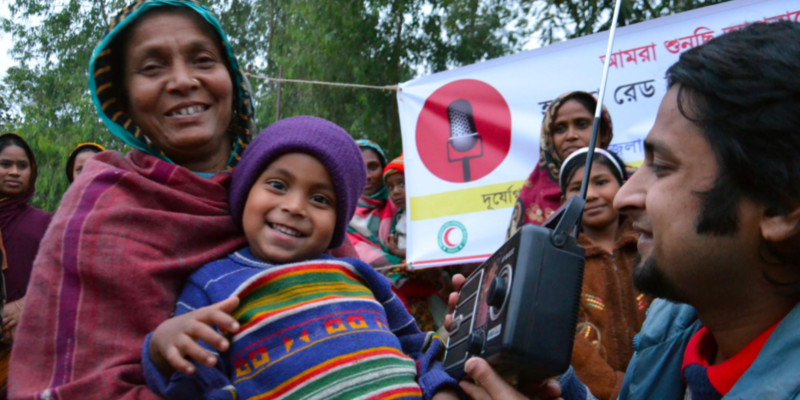 A 'toolkit' area provides overviews of different approaches for sharing information with communities quickly, efficiently and at large-scale, using systems such as SMS, social media or radio broadcasts. There are a range of printable resources such as on how to hold focus groups and community meetings, monitoring and evaluating engagement initiatives and creating agreed codes of conduct for the involved stakeholders.